Rodeos and horse ranches aren’t what they used to be. 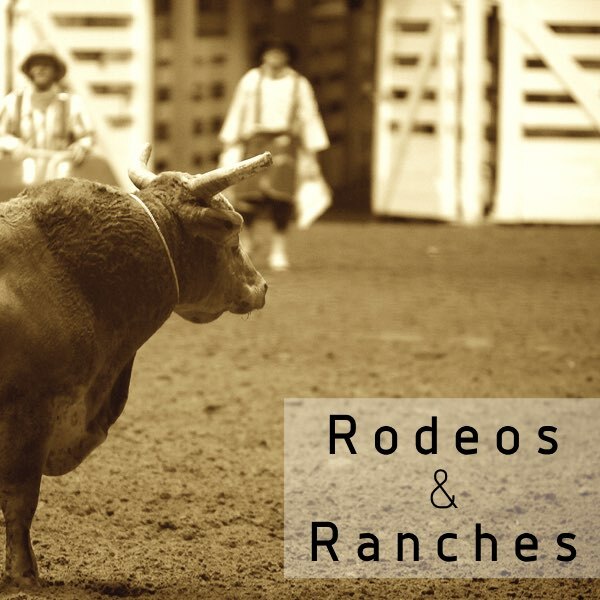 These days, rodeos are polluted with big PAs pumping rock and pop music through the speakers while the cowboys ride the bulls and buck the broncs. People watch through cell phones and keep a safe distance from the action. Horse ranches are overrun with the sounds of 4 wheelers and dirt bikes on the tracks nearby. The recordings we have come from before that time. Years ago we rolled out to the rodeo with full access, a portable DAT machine, and a determination to catch every angle we could take a mic to. The house band played from a balcony unamplified while the cowboys rode the bulls and the crowd cheered. The children rode sheep in a sport called “mutton busting” and the women mounted stagecoaches and raced around the arena at breakneck speed. …and when the show was over the crowd stood up to leave, but the cowboys were still competing – so they kept riding. The steer wrestling contest happened in an almost empty arena. We were there — up close, capturing every gate release, the sounds of the cow struggling to stay on his feet, and the single trainer cheering the cowboys on. The dirt and the grit and the steel clacking around were all there, exposed and clean and in their native environment. After the rodeo we went to a local horse ranch and kept on rolling. We got gallops and canters, grunts and snorts. We handled the tack, shook the bridles, and swung the gates. We recorded in the barn and out on the fields. These recordings come from a time before 24 bit 96kHz portable rigs existed, but they have a quality and fidelity that has survived the ages. Take a listen and remember the time when these things sounded like they should sound.